Most of my readers know… I LOVE a good pasta salad. 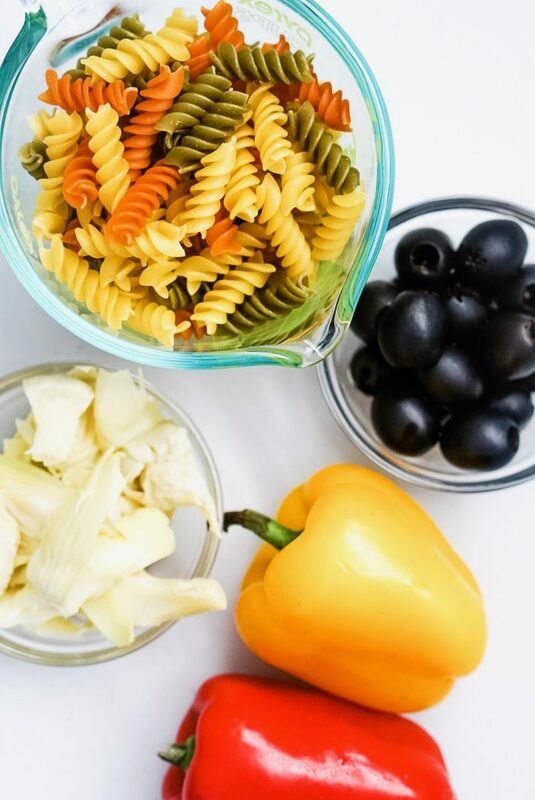 If you were to ask me, “What is one of the best summer dishes to share with friends and family?” My go to is a yummy, easy cold pasta salad. My mom used to make the best pasta salads when I was a kid and I remember how I would keep going in the fridge to see if it was chilled and ready to eat. It’s just one of my favorite things! 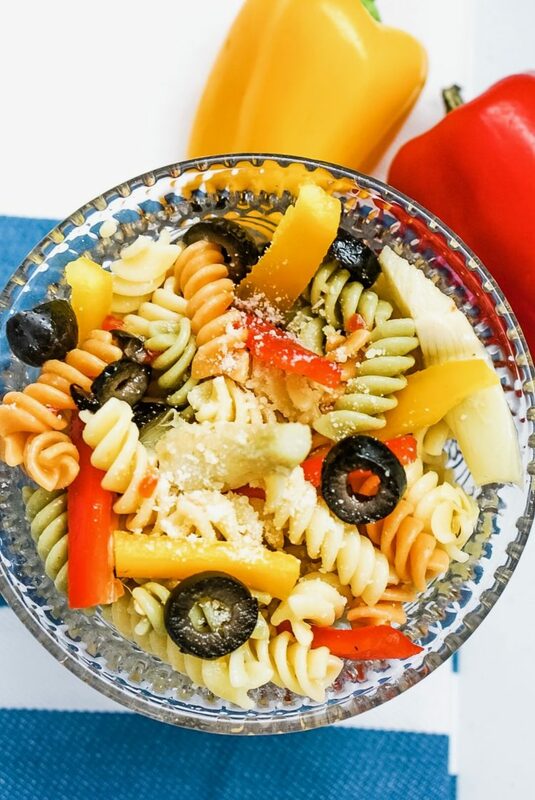 Pasta Salad is good when you’re having lunch by the pool or at a picnic. Take one to your best friends BBQ or just put one in the fridge when you are looking for a healthy, light alternative for lunch. A great pasta salad will transcend your surroundings. 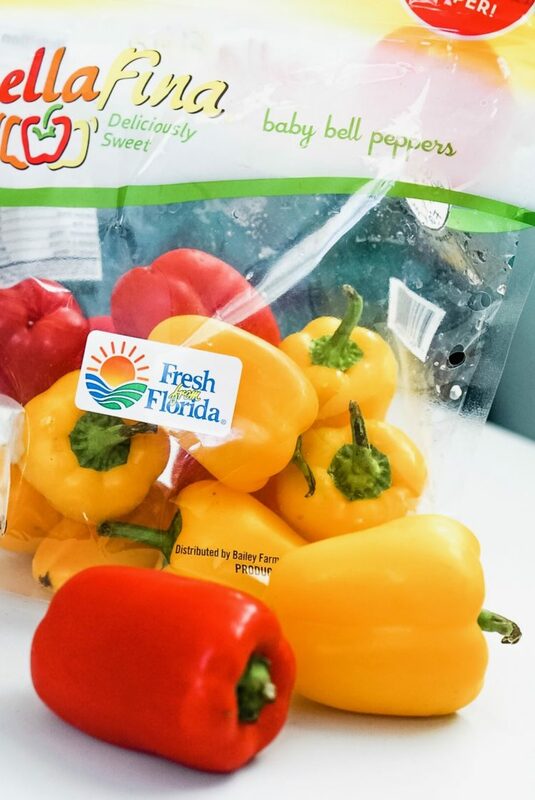 One thing that really sets off a pasta salad is fresh ingredients and right now I am all about the seasonal bell peppers that are Fresh From Florida. I’ve lived in South Florida for almost 15 years and one of the many things that I love about it is the fresh produce. The bell peppers are particularly vibrant this year and taste incredible! 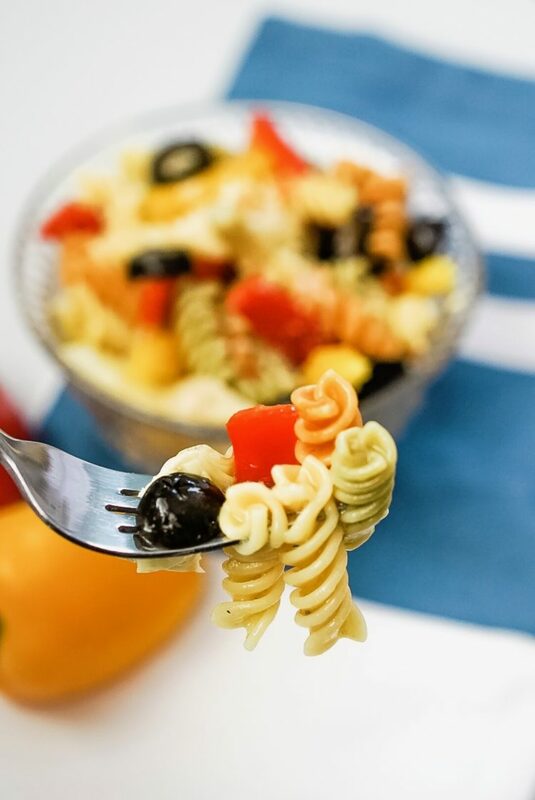 I’ve decided to use them in one of my favorite recipes… Easy Cold Pasta Salad. Boil pasta for 10 minutes, drain and put into large bowl. Add Fresh From Florida Bell Peppers, Artichokes and Kalamata olives. Stir in 3/4 cup of Italian dressing. 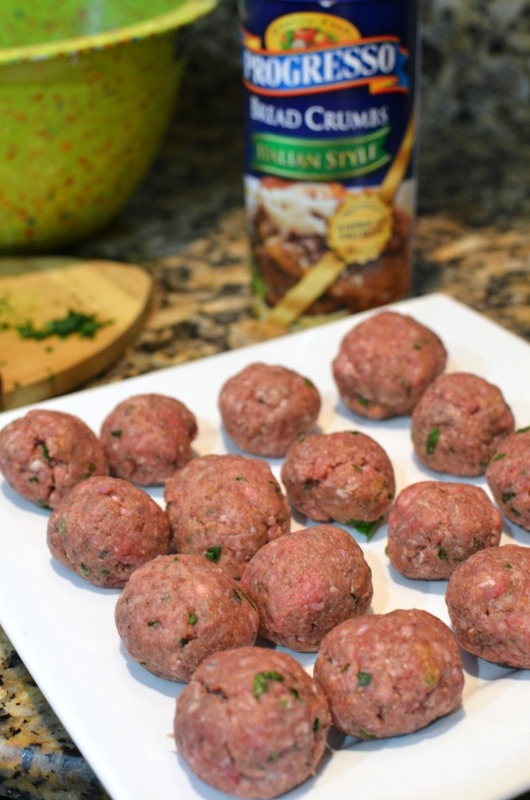 If you like this recipe, click here to check out all of the great pepper recipes from Fresh From Florida. I’m always looking for a new way to shake up family recipes that get bland and boring after my thousandth time eating them. I’ll be the first one to admit that I love playing with my food! 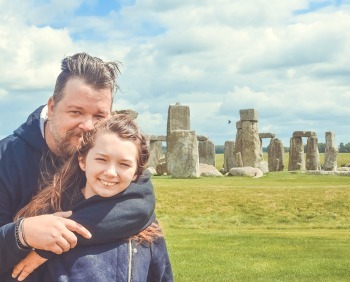 We’re not talking about making hot dog log cabins or building a working mashed potato volcano that shoots out gravy (Although… It sounds AWESOME!). Recently, those culinary prayers were answered! We were just introduced to the new simple, delicious Ready-to-Eat Dips and Seasoning Shakers from Hidden Valley®. 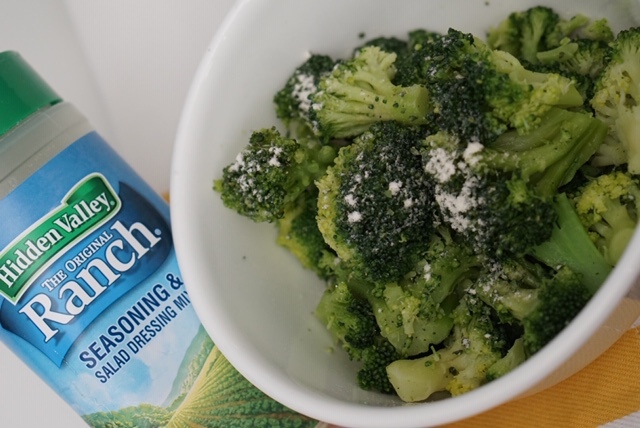 My fam and I are big fans of the zesty taste of Hidden Valley Ranch and this was a great opportunity to get in the kitchen and get creative. 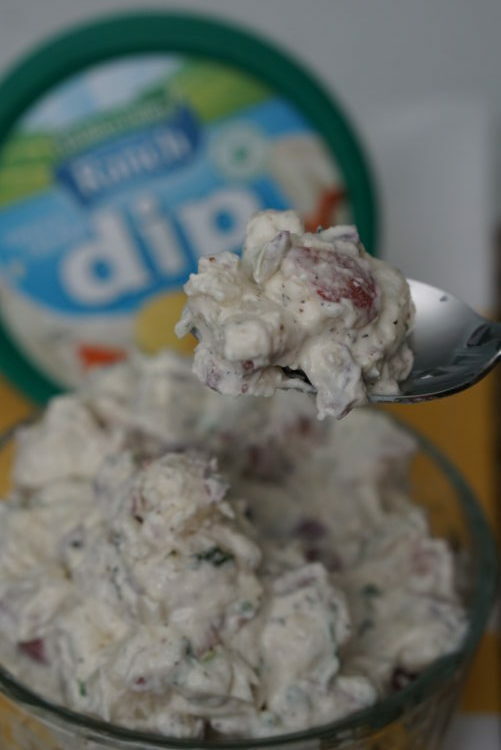 We started off with one of our favorite sides, potato salad. It’s one of our go to dishes. It’s perfect for just grilling out or when friends and family are over for a party. Just swap out the mayo for a big dollop of the traditional Ready-to-Eat Ranch Dip. 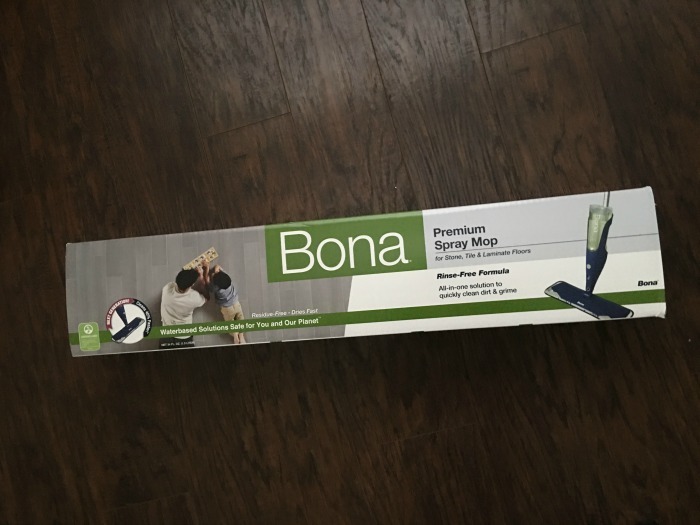 Let me tell you, it is insane good! vegetables and makes your taste buds go Wow! 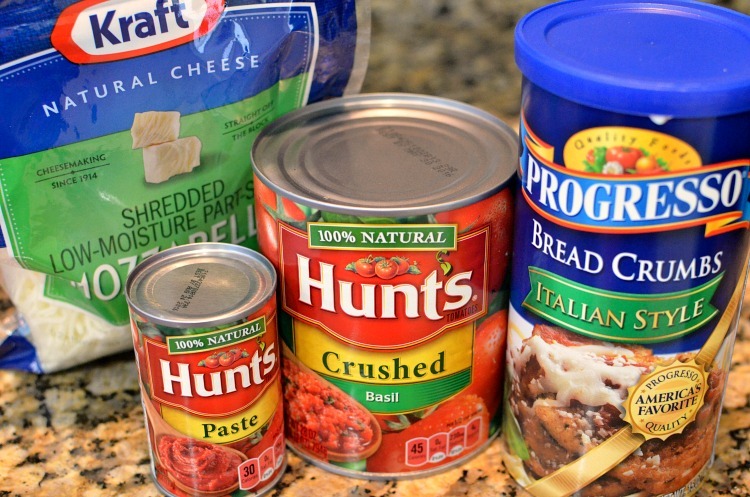 Where To Find These New Hidden Valley® Products? products through amazon.com/hiddenvalleyranch to have them delivered to your doorstep! 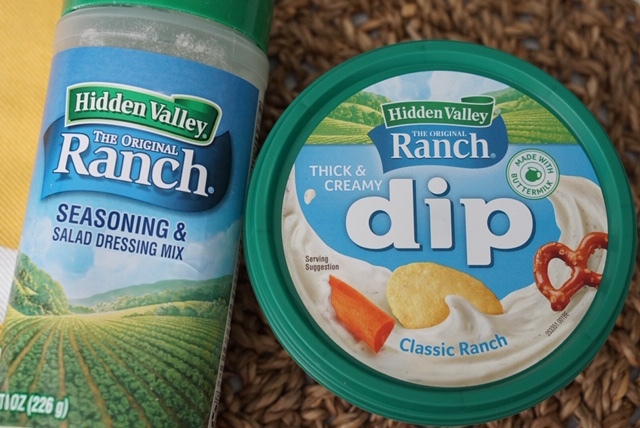 The Ready-to-Eat Ranch Dips won’t be available immediately, so make sure to keep checking Amazon Prime Pantry for the official date you can order them! Be sure to use the code 20HVRRICK to receive 20% off one Hidden Valley® Seasoning Shakers when you order off Amazon Prime Pantry!! Inviting people over for a wine tasting can be super stressful! You want everyone to have fun, but you also want to impress them with the wine and food that you’re serving. We’re going to choose your wine first and then put together 5 Easy Snacks To Serve At Your Next Wine Tasting. First… Let’s pick some wine. A good rule with wine is to keep it simple. You need to find one good white and one good red. I’m having people over soon and I went with the Böen Chardonnay and the Böen Pinot Noir to serve to my guests. The Chardonnay is fruity, crisp and has a very bright finish. The Pinot Noir is smooth, rich and has the finish of a really tasty red blend. 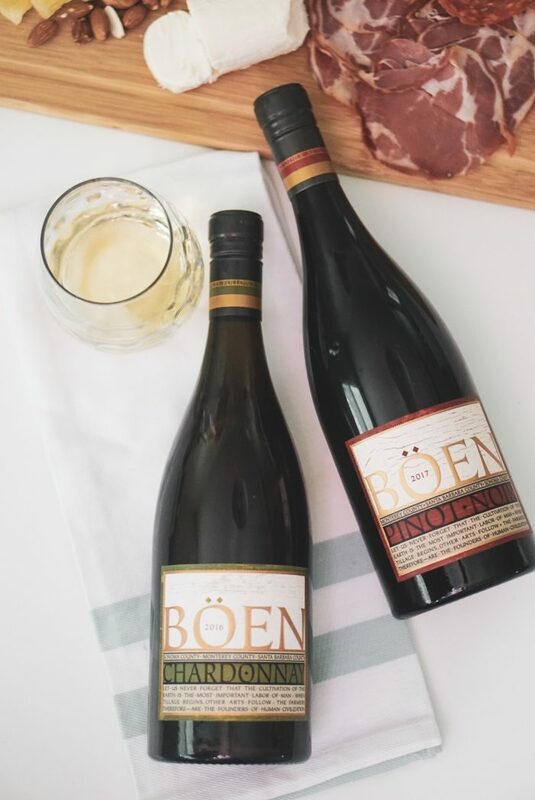 Sourcing from various vineyards throughout selected regions, Böen offers a nuanced, layered, and complex representation of the most renowned Pinot Noir and Chardonnay wine growing regions in California. Joe Wagner is a 5th generation winemaker who has formed strong relationships with California’s top winegrowers over nearly two decades. The Wagner’s are one of the most famous wine making families in the region! 1. Dried Fruit – You can also serve fresh fruit, this is just my personal preference. Dried fruit, like raisins, crasins or mango go well with red or white wine. Red wine pairs well with dried berries and white wine is great with dried pineapples. 2. Almonds – Raw almonds will go with the Chardonnay and roasted or smoked almonds will really compliment a Pinot Noir. The Böen Pinot has a little bit richer flavor than some Pinot’s and really works with the smoked almonds. 3. Charcuterie – There are “rules” that are brought up when dealing with charcuterie and wine. We’re not even going to deal with that. Try a variety of some different pork based meats that sound good to your palette. I like meat’s like capacollo or calabrese and then I’ll throw in a nice peppered salami. Anything with a peppery flavor is going to work with the Pinot Noir and the other porks will compliment your Chardonnay. 4, Cheese – Cheese is a great snack to serve at your wine tasting party. It’s versatile! 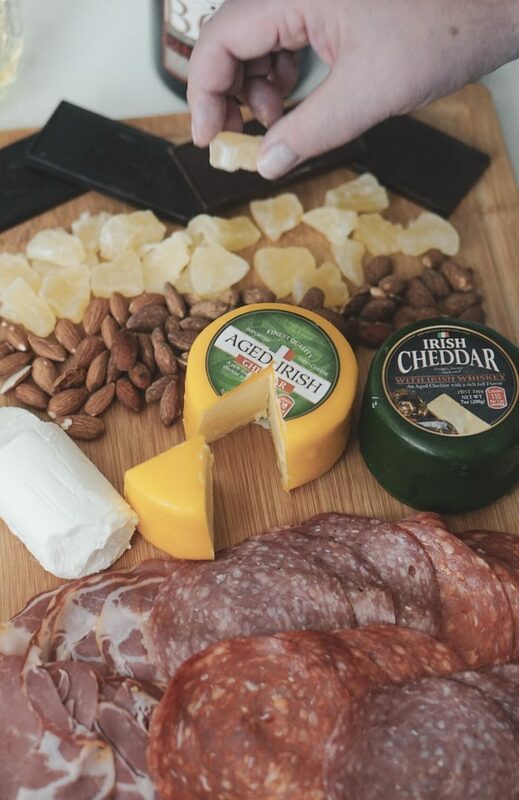 You’ll want to include hard aged cheeses such as an aged cheddar (I LOVE Irish cheddar), medium cheeses like a yummy Swiss and a soft cheese such as brie or goat. 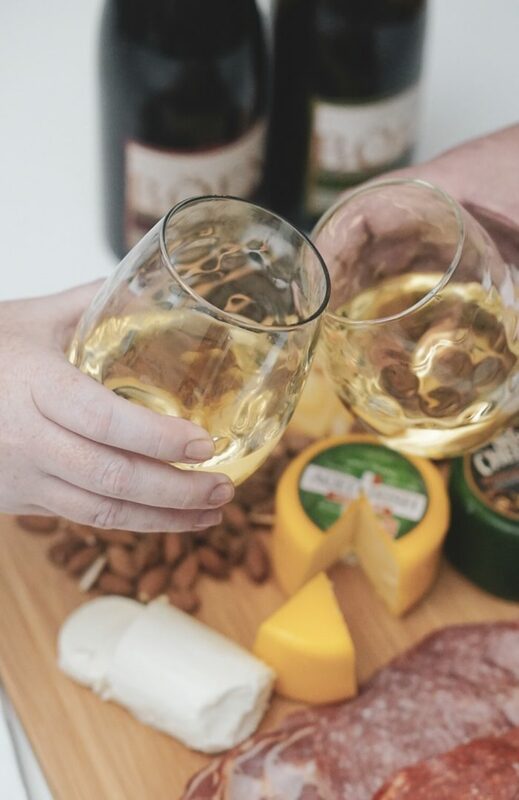 Don’t assign a specific cheese to a specific wine. Try them all together and have some fun! 5. Chocolate – One of my favorite snacks at a wine party! Always have a very dark chocolate (60% – 85% cacao) for your red wine, but then go crazy with your choices. Grab white chocolate, flavored chocolate (bacon, chile, orange), any kind of chocolate you want to try! It’s going to be tasty. 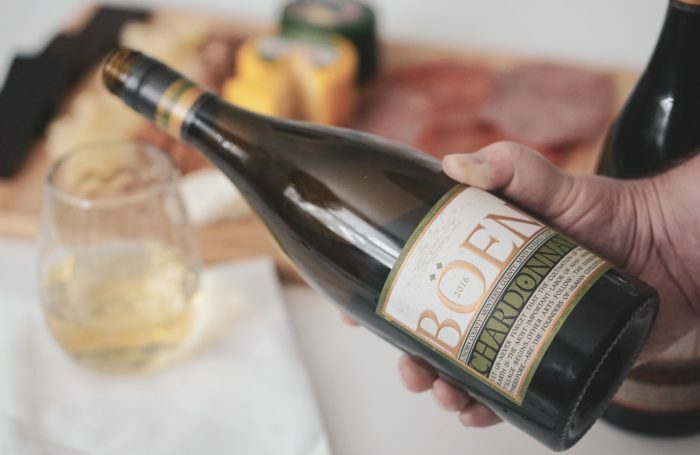 At your next wine tasting, try some Böen Chardonnay and Böen Pinot Noir. 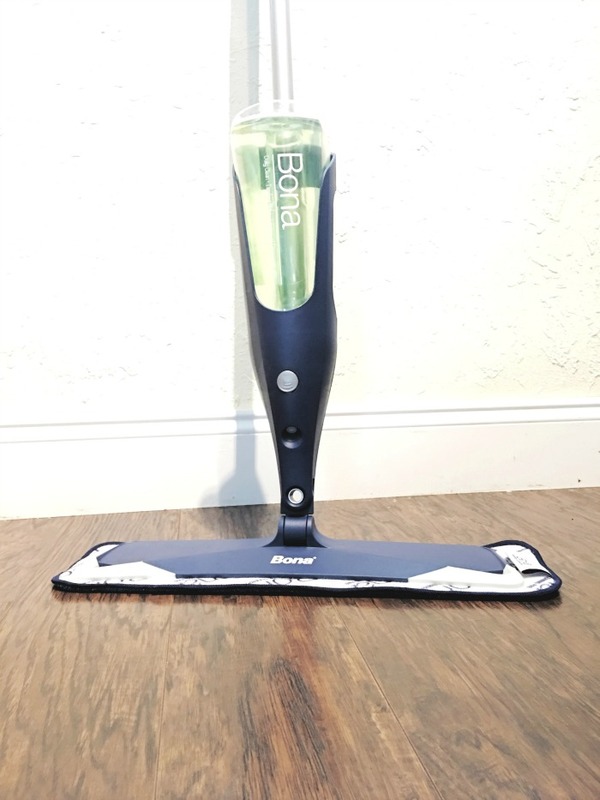 Click here to find Böen at a store near you. – Be sure to get home safe. Never drink and drive and enjoy these 5 Easy Snacks To Serve At Your Next Wine Tasting. Even though I live in South Florida, this recent cold snap has inched its way into our neck of the woods. As soon as chilly weather shows up, I break out the slow cooker and start making some good old-fashioned comfort food. Two of my favorite eats are Italian food and great sandwiches! 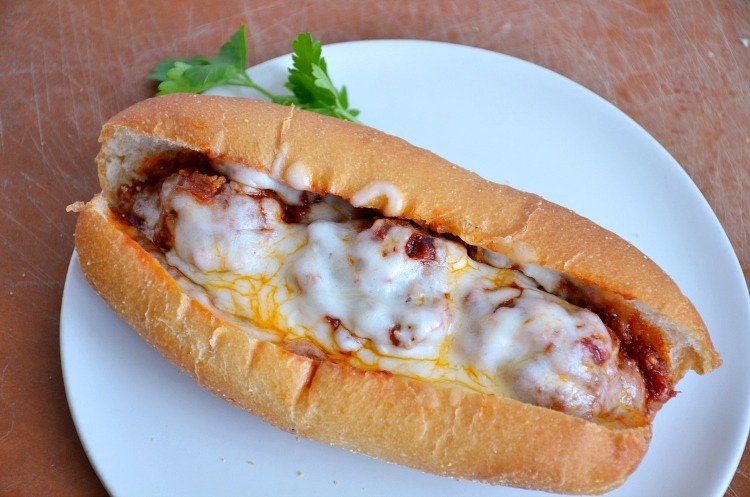 Put them together and you’ve got one of the most perfect dishes ever… Slow Cooker Meatball Subs!